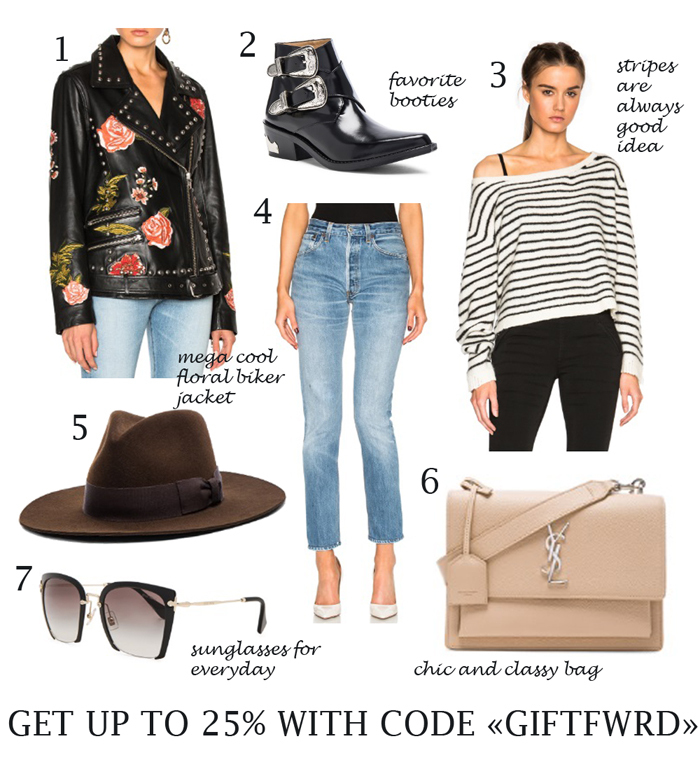 ENG: FWRD offering amazing promotion before Christmas! Treat yourself and your beloved ones with amazing gifts: save 15% with orders over $750, 20% with orders $1000 and %25 with order over $1500. Simply apply code GIFTFWRD on checkout. Dreamed about designer bag for too long? Grab it now and make yourself a wonderful gift! Happy shopping! RU: На сайте FWRD началась предновогодняя акция: получите 15% скидку на заказ более $750, 20% дискаунт, если сумма покупки превышает $1000 и 25% - если собрались тратить больше $1500. Код для акции - GIFTFWRD. Вы давно думали о дизайнерской сумке – это отличная возможность приобрести ее по более приемлемой цене. Радуйте себя и близких почаще, отличного вам шоппинга! Подборка великолепная! Очень понравились очки! Удачного дня! Целую! The first casino of Asia. Gclub The site is open to the leading online casino in Cambodia, which is considered to be very popular today, after the provider of online casino websites have launched games to play. Betting over the internet is a wireless connection that makes playing online gambling games playable around the world. And for the start of the game, online gambling has its origins in the "casino". Poipet ", a leading casino in Cambodia, sees online gaming as a new dimension that has made the casino industry recognized and developed the original gaming platform. Thousands of online gamblers come online to play today. Online gambling is constantly evolving so that online gambling games are perfect. Fun and access to all online bets is based on just the internet, players can play online games of all types to play.